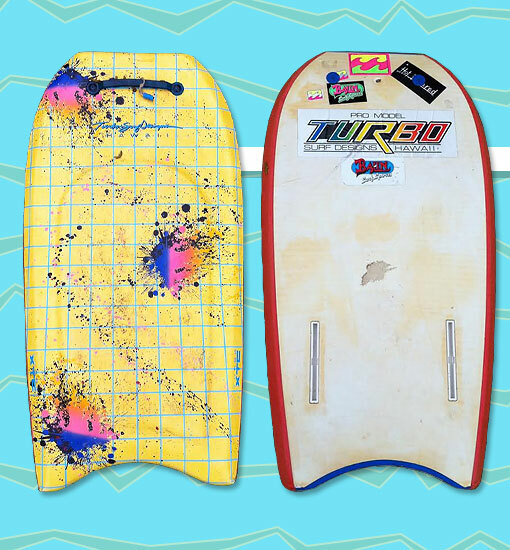 One of the most popular models from Turbo Surf Designs was the XTC Turbo. The XTC was designed for the elite prone rider and featured a padded top deck, Arcel core, vinyl deck with wild graphics, a stiff PVC bottom, and grip rails. As with all Turbos, the XTC was fully customizable and came with or without fin boxes. Photo: Craig from Australia.